According to my Blue Book of Gun Prices, 31st edition, the Challengers were produced from 1950-55, + 77,000 were made. The book places a value (2010 pricing) of $200 - $695 depending on condition. Remember, this book is 4 years old + the values may have changed. And also, any guns true value is what ever one can get for it, reguardless of "book value." Did the barrel rifflings clean up nice. What did you use to clean the barrel? Try Kroil let it soak repeat a little pitting isn't all doom & gloom. Sometimes you just get lucky and will have a shooter. How's the crown on the barrel that's the last thing the bullets sees. If the crown is oval or buggered then cut a new one theres videos. If it don't shoot good try lapping the barrel. Here's a Colt Cadet .22LR I picked up in the early 80s. How about those racy lines. Looks like it's the grandkid to your vintage Colt Challenger. 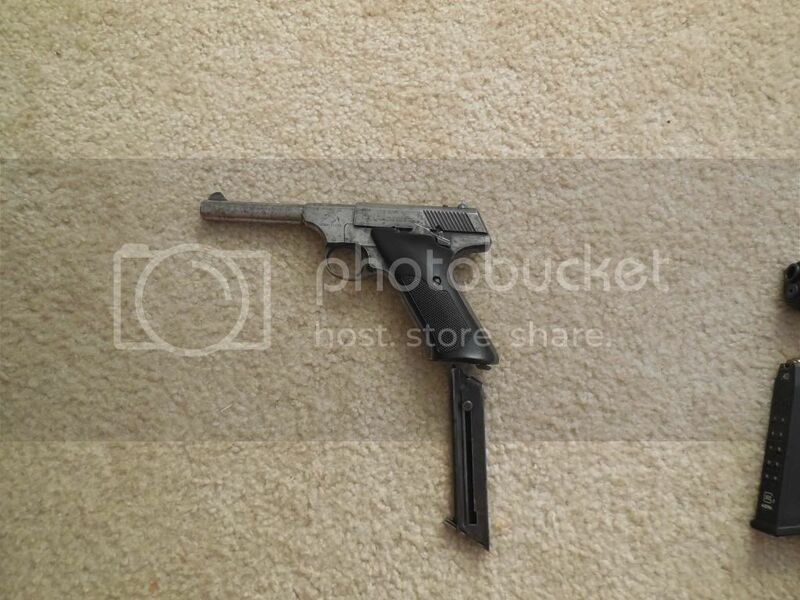 Polymer handle but it shoots good! Check out the homemade rib. At the time there wasn't one available for the Cadet; it came with a thin, black rib with a front sight on it, so for a couple of bucks I got my neighboor's kid to turn a scrap piece of aluminum into a functional rib to mount a scope on and I still have it on the gun. Also mounted an Adco brand holographic red dot sight - the dot was adjustable in intensity. It was primitive but still works. 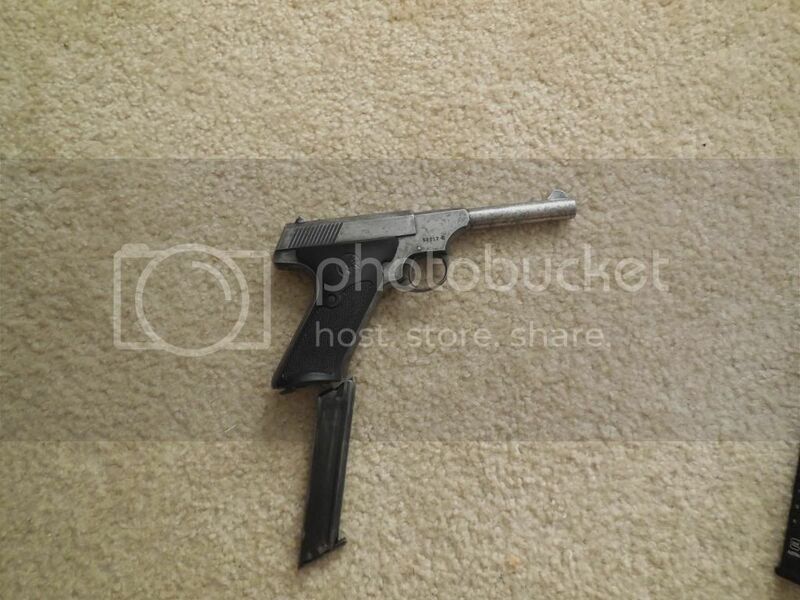 Think I paid around$ 230 for the gun in '88-89. Nice looking pistol. 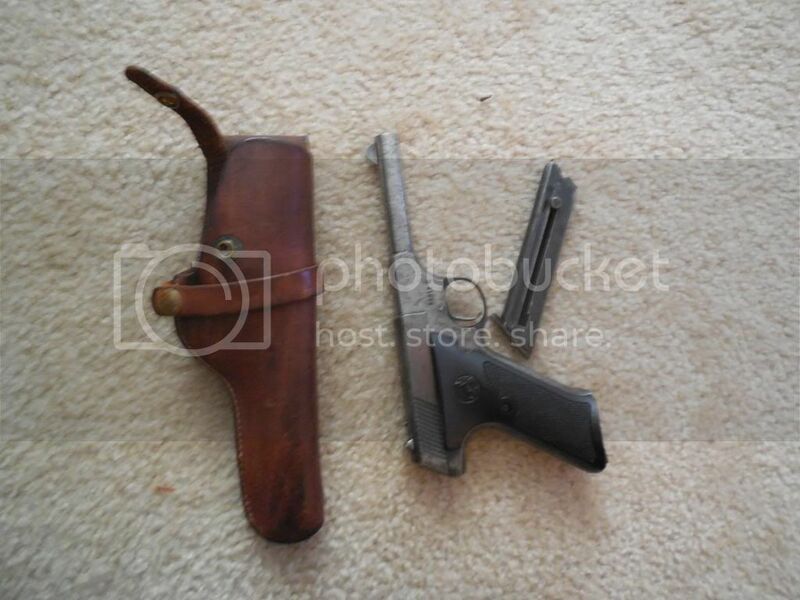 Reminds me of my Smith .22 though i'm sure the Colt is twice the gun. My little Smith shoots pretty well though, especially since I added the target grips. 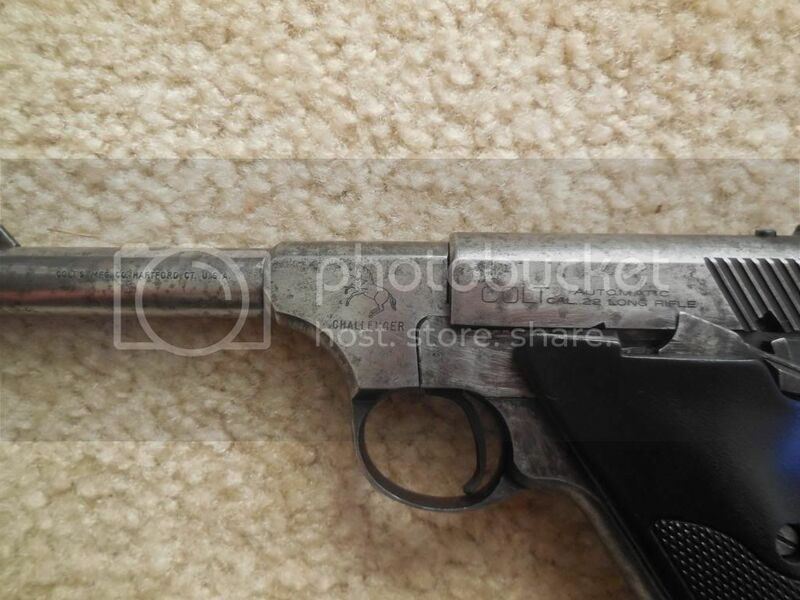 Tthing is, this gun will not digest the Remington Thunderbolt ammo, jams with it about every 3rd shot. The Thunderbolts are one of the least expensive ammo out there these days, darn it.